A little while ago, ABC's 7.30 program had a story on a new growing group of homeless people: older women. It didn't surprise me at all that the first person interviewed in the story had lupus. You see, I came very close to being one of those homeless women. A couple of years ago, I had to stop work completely because of lupus at the same time as my rent increased to an amount more than my income. I had a miracle that Christmas - a home I could afford to rent became available just as I most needed it. It was almost a year after that before my superannuation fund finally put me on permanent retirement, with a payout that finally enabled me to buy a house. Many women's stories don't end as well as mine. Most people with lupus (and a number of other similar conditions) are women. Women tend to have less superannuation than men, because of time out for the workforce to have children, etc. Relationships are under extra stress when you add chronic illness into them, so quite a number of lupies don't have a partner to "support" them. 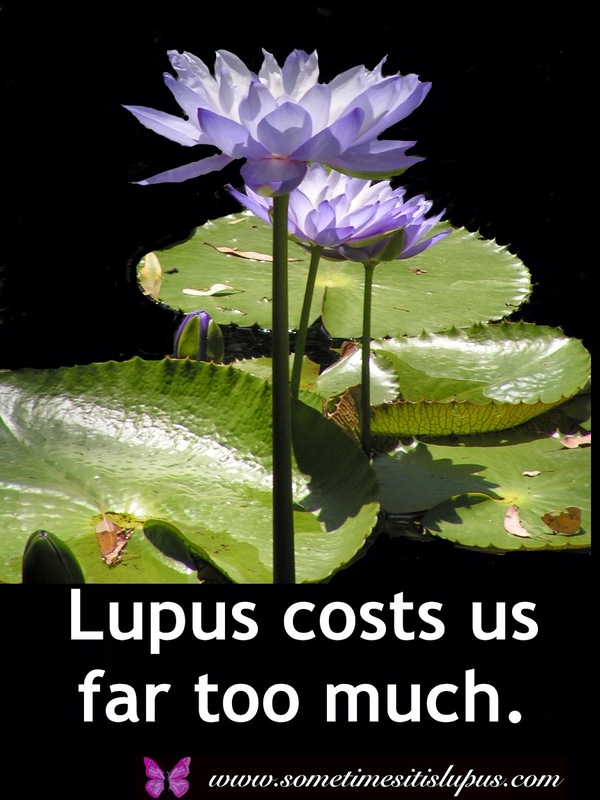 The unpredictable nature of lupus means that even part-time work can be hard to maintain. Rents keep going up to ridiculous levels. Lupies have the added expense of managing our illness, on top of everyday life expenses. I don't have a solution to the problem. I wish I did. It weighs on my mind a lot, that I was saved from this additional problem, when so many others aren't. The only thing I have been able to do so far to help is to establish the Lupus Business Directory on this site. Many of us have set up small or micro businesses. We have hobbies (eg writing, beading, etc), which produce saleable things. The Directory is a place for people with lupus and other chronic illnesses to advertise our micro businesses. I don't say that buying one beaded bracelet will save a lupie from homelessness, but it will help a little. Oh, if you're a lupie (or someone with another chronic illness) with a small or micro business, and you're not already on the directory, please email me the details. There's no cost to be listed.